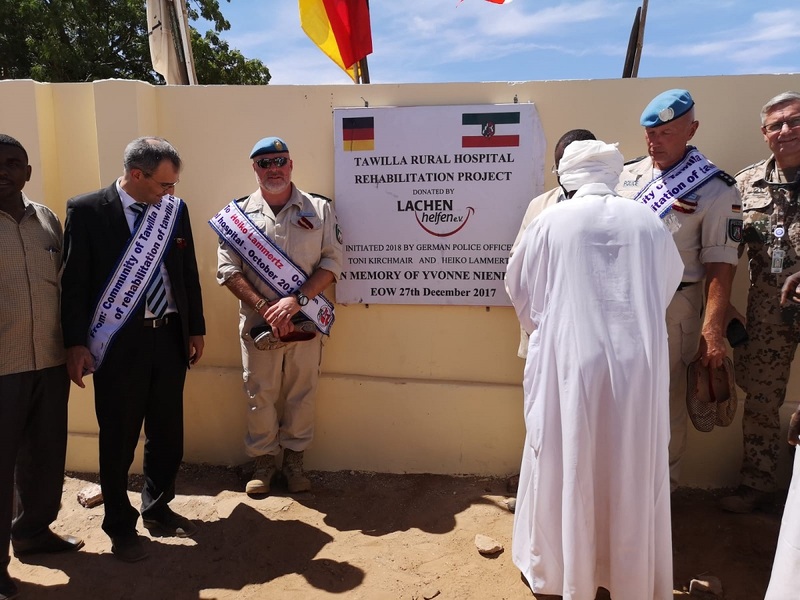 Germany’s Deputy Ambassador to Sudan, Holger Tillmann, on 30 October officially opened Tawilla Rural Hospital in North Darfur following its rehabilitation by the German Police serving with UNAMID. The hospital was rehabilitated using funds from the German charity Lachen Helfen and contributions from the police officers. It will benefit thousands of patients in Tawilla. UNAMID photo.